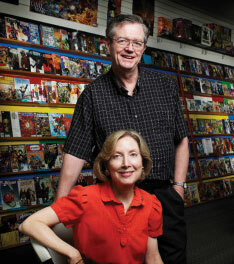 Buddy Saunders was a young, married art teacher in 1977 when he borrowed $1,500 to open up a comic book store on a side street in Arlington. Within a year, shop receipts matched his school salary. Today the shop stays busy with seven locations around the area and an online retail business. Come here to find back-issues of hard-to-find comics.